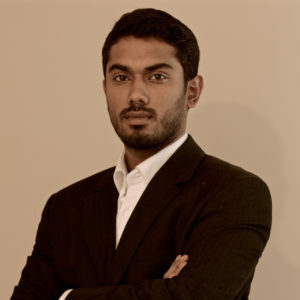 GreedyGame, has recently announced the appointment of Mr. Samuel John for the role of Head of Operations of it. Sam was the Director of Operations at InMobi, brings with himself a wealth of industry experience, having been an integral part of InMobi’s international operations for a little under than five years. Founded in 2013, GreedyGame solves the unique problem of branding on the mobile medium with its proprietary native advertising platform. By providing non-intrusive ads that don’t disrupt game play, the company helps brands to tap into their precise target demographic; publishers to monetise their content without the fear of compromising on quality or losing their audience base; and end-users to enjoy games seamlessly, without annoying ads interrupting their gaming experience. In a little more than two years, GreedyGame has established itself as a preferred native advertising platform. With more than 1 million daily active users, GreedyGame is working with 50+ mobile games in India, including industry biggies such as Nazara, Reliance, Games2win, Octro, Nextwave, Hungama, Disney, etc. and has worked with top brands such as PepsiCo, Flipkart, Snapdeal, Gatorade, Vespa, Airtel, Fastrack, EA, Amazon, Marico, among others. Among the many feathers in its cap, the company has won the Best Marketing Spark award (2015-2016) from Marico and has been recognised as a Madlabs partner company from 2015-2016. Sam joins the GreedyGame team in the run up to its Series A round, and will be helping the company in its endeavours to scale up business by expanding its reach in the Middle East and the South East Asia region. GreedyGame is an ingame native advertising platform that helps brands to tap into their precise target demographic; publishers to monetise their content without the fear of compromising on quality or losing their audience base; and endusers to enjoy games seamlessly, without annoying ads interrupting their gaming experience. its platform seamlessly blends ads within the mobile gaming experience. GreedyGame’s dynamic, native ads help advertise engage audiences while they are playing mobile games, empowers game developers to monetise their game development efforts through nonintrusive advertising, and allows gamers to enjoy gaming content without having to deal with distractive advertising.